Simply Southern Girl: Little Letter LOVE!!!! 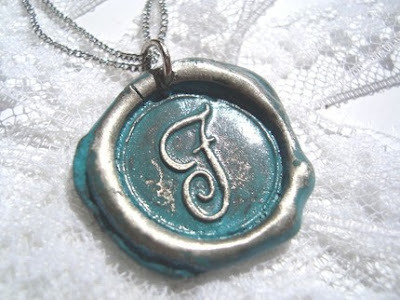 I love love wax sealed pendants, the come in a variety of colors! I think I am going to pick up one of my own.. the question is what color??? Pink? Red? or maybe even green?? 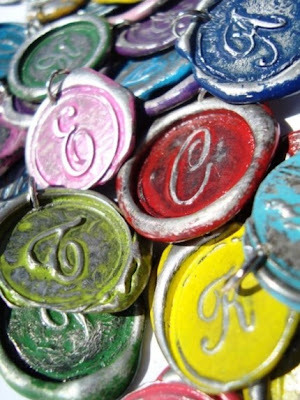 Want to pick up one of your own visit Ritzy Misfit - an Etsy artist. Each pendant is unique and strung on a homemade chain!! These would be great for bridesmaid favor, gift, or rememberence. I saw that! I actually emailed it to my hubby saying "someone has a birthday coming up . . . ."